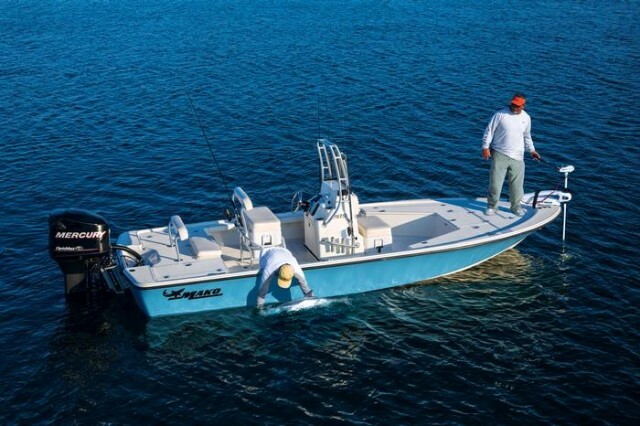 In this overly complex world, a simple boat like the new Mako Pro Skiff 16 CC is a breath of fresh air. The little fishing machine called the Mako Pro Skiff 16 CC is straightforward, minimalistic, and unadorned – at least until you look below the waterline. While the topsides of this boat are as plain as possible, the hull is anything but. Mako calls the design an “inverted V,” and it’s akin to a powercat or tunnel boat. 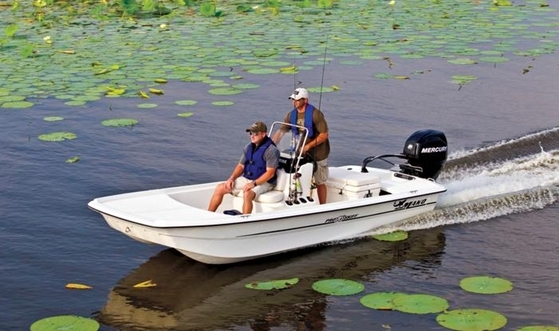 (See a diagram in our review of the Mako Pro Skiff 17.) Instead of coming to a V in the middle there’s a fairly narrow tunnel, with a small V running down the center and two mini-Vs on either side. The resulting ride is exceptionally smooth, and I was completely comfortable running through boat wakes and the slight chop we encountered on test day, even at full-tilt. In fact, I’d compare the smoothness of the ride to an average 18- or 19-foot V-hull. I also remained dry, a rare experience on a boat of this size. 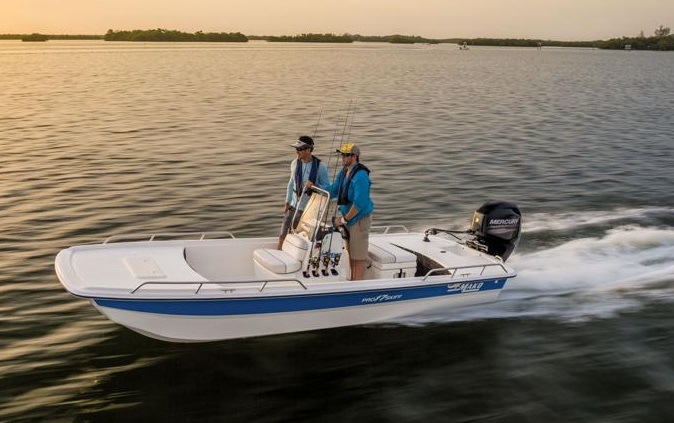 The Mako Pro Skiff 16 Center Console offers a cushioned, dry ride and is packaged with engine and trailer at a great price. Are there any downsides to this design? 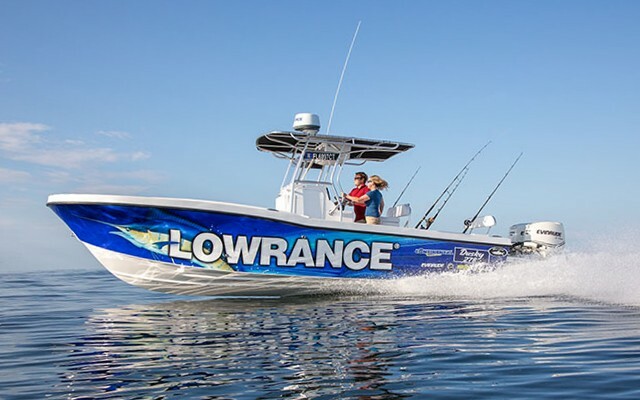 Unlike its larger cousin, the Pro Skiff 17 CC, which has an additional foot and a half of length and eight inches more beam, the 15’10” long, 6’0” wide Pro Skiff 16 CC is on the tender side. Shifting my body weight was enough to get it rocking, and if more than one angler is aboard, casting while standing will cause a lot of motion. Fortunately you won’t mind staying seated most of the time because the helm has a comfy seat with an 85-quart cooler in the base. The seat on the front of the roto-molded console is also put to good use, with an eight-gallon livewell underneath the hatch. 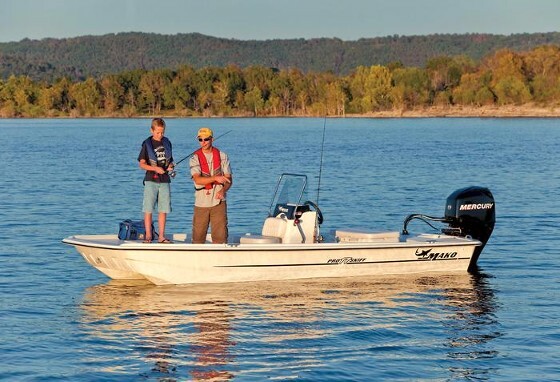 Other fishing perks built into the console include five vertical rodholders, a grab rail and windscreen, and an electronics flat that has room for binnacle-mounting a small fishfinder or GPS. Since this is a rolled-edge skiff, adding flush-mount gunwale rodholders won’t be an option, but side-mounts could be fastened just about anywhere along the inwales, and the aft deck (which encloses a six-gallon portable fuel tank) has room for a pair of flush-mounts. 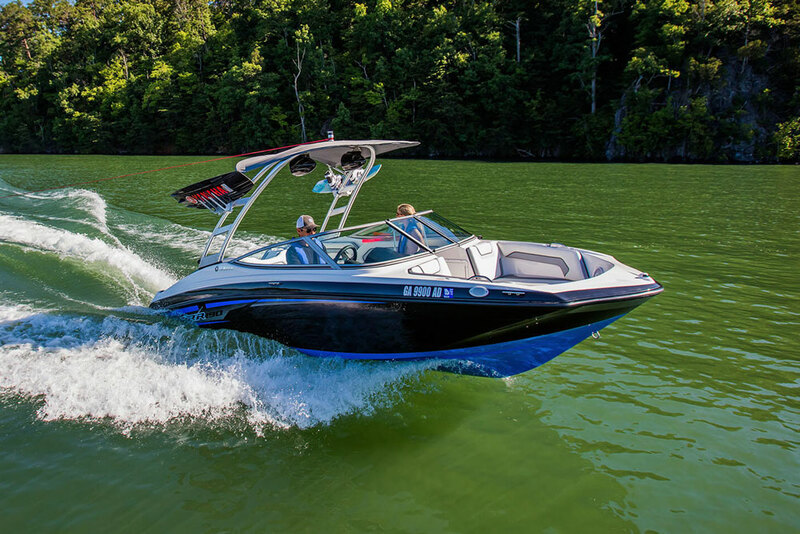 Powered with a 40-hp four-stroke Mercury outboard, the Pro Skiff 16 CC buzzed up to a 20-mph cruise, and even when wave-hopping I never detected any of the over-revving or prop ventilation that some small powercat and tunnel hull designs suffer from. The boat also banked slightly into the turns, a nice change from the usual outward lean of some similar hull designs. 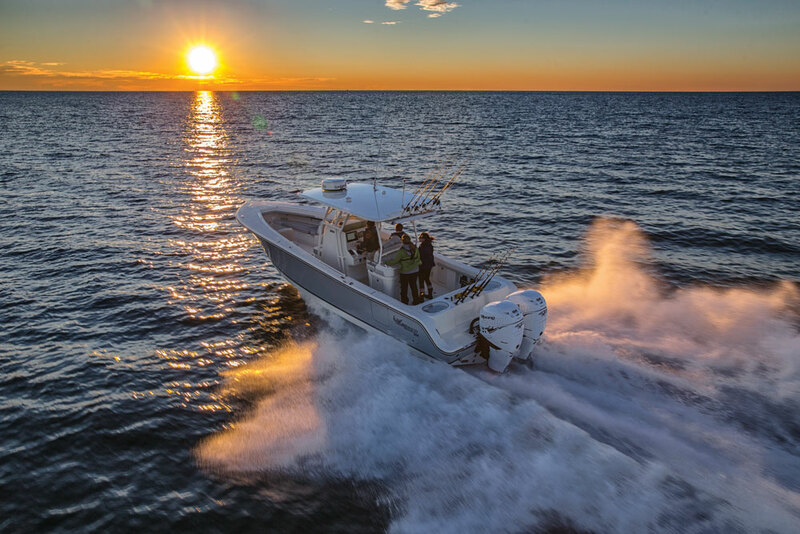 This boat’s diminutive nature means it’ll be easy to trailer, load, and launch, and its simplicity means there’s little to break or wear out. But most anglers looking for a small, uncomplicated skiff will probably agree, the very best feature of the ProSkiff 16 CC is its price. A mere $12,395 gets you the boat with a standard 25-horse outboard, plus a trailer. That makes this one of the most affordable fiberglass boats on the water, which isn’t just simple to understand—it’s simply marvelous. 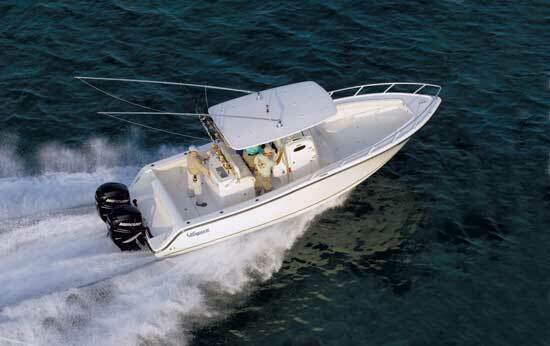 Other choices along the same lines are the Twin Vee 17 Classic, which rides similarly, and Carolina Skiff’s J16CC , which is similar from the waterline up. 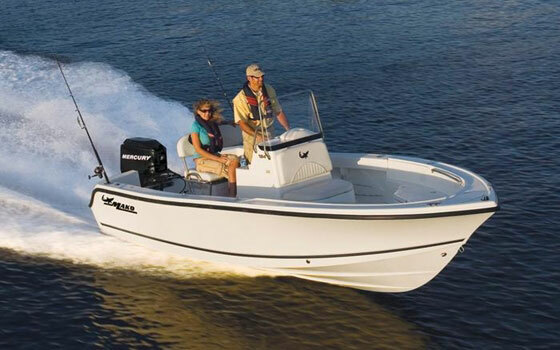 For more information, visit Mako Boats.